The Lutheran Dartball League recently concluded its 70th season with a banquet at Turner Hall in Watertown. Awards were given o the top average and rbi guys in each division and from each team. The champions of the league this year is St. Mark’s #1 from Watertown. Team members include Dennis Manke, Dean Zubke, Dale “Bossman” Zubke, Scott Schoenherr, Josh Zubke, Adam Zubke, Noah Zubke, Del Maass, Kevin Zubke, Charlie Schilling, Bob Kubly and Casey Schuett. The League also honored Dan Jaeckel with a plaque for years of dedicated service. Dan served as treasurer of the league for 27 years. He also served as the captain of St. John’s, Ashippun for many years. Dan plans to continue playing but decided it was time to retire as treasurer. We thank you for your dedication to the league Dan! until that player has 50 at bats for the current season. The player who is batting twice may not be in consecutive spots in the line up. 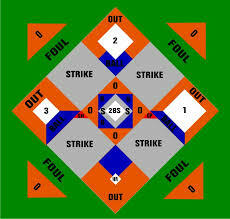 For example, the player batting twice may bat 7th and 9th, but not 8th and 9th. on the number of runs you scored in those first 3 weeks. All games will be starting at 7:30 pm unless other arrangements are made by teams playing each other.